This time of year brings the baker (I wish!) out of me - I looove to make fun, holiday themed cookies, cakes and all sorts of desserts. 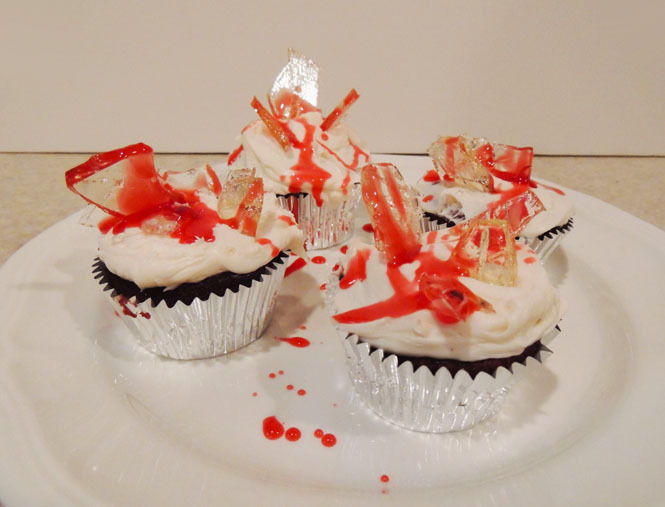 I originally made these glass shard cupcakes for the season finale of Pretty Little Liars when A's identity was revealed last summer. I loved Pretty Little Liars while it was on (if you loved it too, you'll love these 8 real life lessons we learned from PLL!) and I always made something fun and 'A'-related for a season premiere/finale. Now, I make these cupcakes for Halloween too! I will admit - these are VERY time consuming, tedious and take practice. The second time around was MUCH easier and even took a bit less time since I better knew what I was doing, and they get easier every time. That being said, they are very fun to make and you'll be amazed at how real they look! 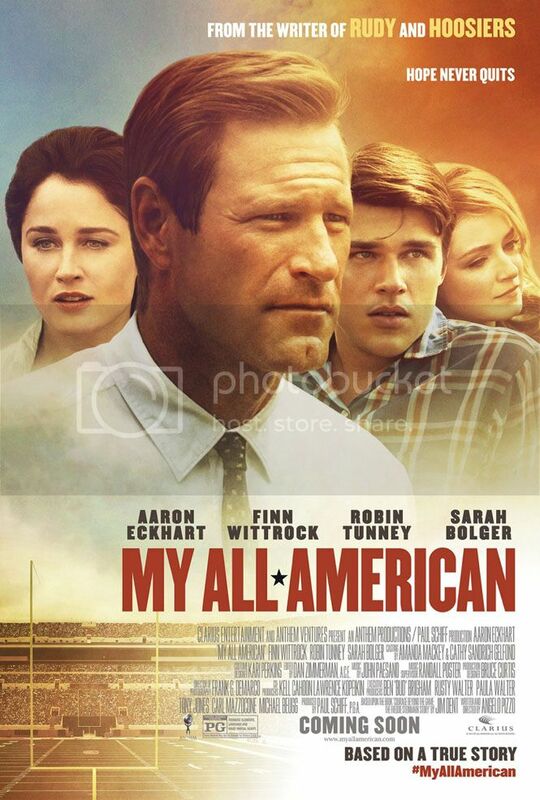 My All American: The Movie + A $25 Gift Card Giveaway and More! One of my favorite things to do is watch movies; whether in theaters with extra buttery popcorn and Reese's pieces or at home snuggled up with blankets and comfy clothes. Except for horror/gruesome genres, I pretty much will watch any movie that sounds like one I'd enjoy. I'm always watching trailers to movies to get an idea of what I want to see next and when I saw the trailer for the new movie My All American I knew I wanted to see it! Are you sitting down? Breathe deep... Kate Spade now has a huge line of insanely gorgeous home furnishings - and I want ALL of it! 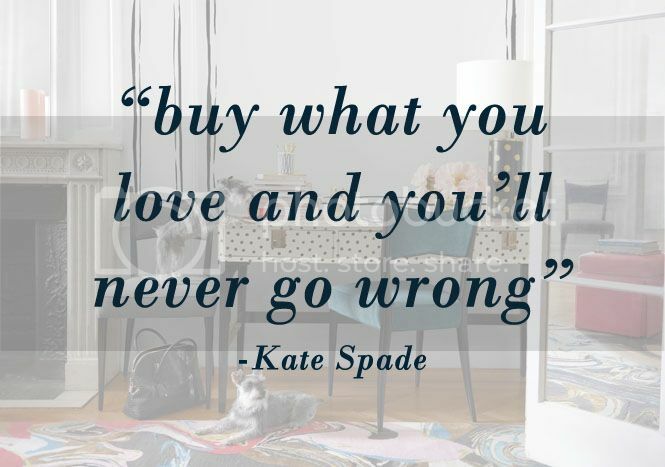 Kate Spade is one of my favorite designers ever so when I logged on to shop the Friends and Family sale a few days ago I was so excited to be able to shop the new home collection! There's always been so many adorable office accessories to buy from Kate Spade but now that there's furniture, bedding, lighting and more decor this is a whole different ball game guys!! For as long as I can remember, I've always loved to travel and a few years ago I was told that is called wanderlust. I've loved that word ever since I heard it - you know when you just love a word? I LOVE that word! I've been very fortunate to have been able to travel to beautiful destinations and I have no plans of stopping. Since I recently turned 21, I've had plans to go to Las Vegas when the semester ends and somewhere tropical in the middle of winter like Aruba or Grand Turk. I have this weird hobby (brace yourselves people) of opening the Maps app on my iPhone and looking for new islands/places in the middle of no where and then googling them endlessly. I do this every day - probably when I should be doing... anything else basically! I love the idea of seeing new places and thinking about how many different places there are in the world to possibly visit gives me anxiety that I'm not in one of those places as we speak. 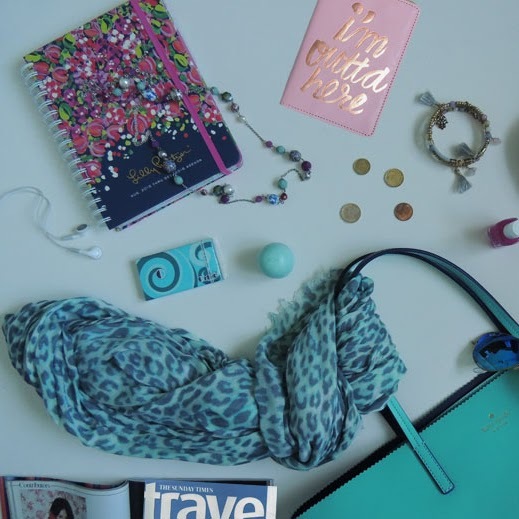 I love to travel, see new places and experience new things. Happy Tuesday! Recently, I've been reading a lot of articles and learning a lot in hopes of further growing my blog. 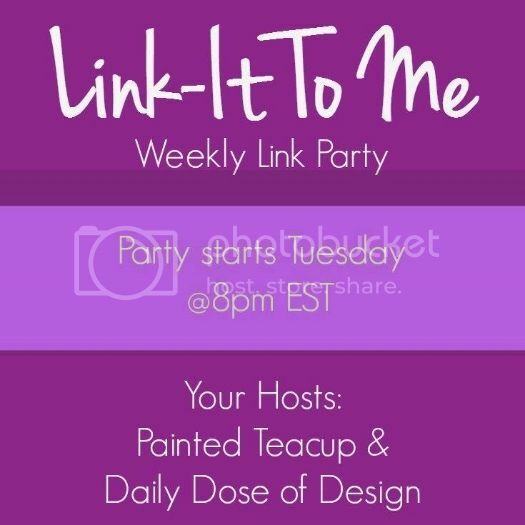 In addition to this weeks link party, I wanted to share the success that I have with link parties. Not only are they fun to participate in, but it's such a great chance to meet new bloggers and find new blogs to connect with. On top of the social aspect, they can be real drivers of traffic to your blog. For as long as I can remember, Sunday has always been considered the "Monday of the weekend" and Monday - forget it! Even though lazy Sundays are the best (especially in the Fall and winter when its cold outside) my perspective on Sundays has changed a LOT since I've gotten older and more specifically, since I started blogging. Sunday has taken on a whole new meaning to me now and instead of doing nothing on Sundays, I've found it's extremely beneficial to the upcoming week to not be lazy. I love blogging and love what I do so getting things done and working on Sundays isn't a hassle but more of an enjoyment. 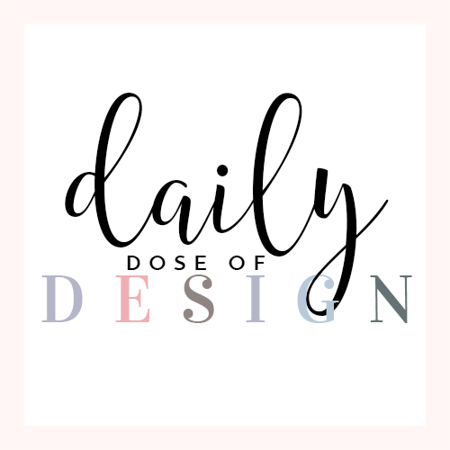 Working on my blog and in general gives me a sense of relaxation especially to know that its making me organized for the week. Working hard is the key to success and this applies so much to being a blogger as well. With no work there's no progress and the only way to grow is working hard to meet your goals. So, having a Sunday that is a nice combination of relaxing but also getting myself prepared and organized for the week is extremely important to me. By nature, I'm a planner. I plan everything and I make a plan to make plans. I have two planners that are filled to the rim and to get things done, I need to have it written down and scheduled into a to-do list. Call me crazy or call me a Virgo, but that's what I've found that works for me best. By this point I must sound like a broken record when I say how much I love summer, but I really do LOVE Fall too! The house is finally all decorated, I have a different scented candle lit every day and doing DIY projects for the holiday season from now through the end of December is probably my favorite thing to do ever. (sidenote: we found pumpkin flavored baking chips and made them in sugar cookies... TO DIE for!! I'm not a huge fan of pumpkin but these were so good and I'm pretty sure that's because it's Autumn and pumpkin season, obvi!) I try and do a couple new DIY decor pieces each year that way for all the years to come, the collection grows of decor to hang up. 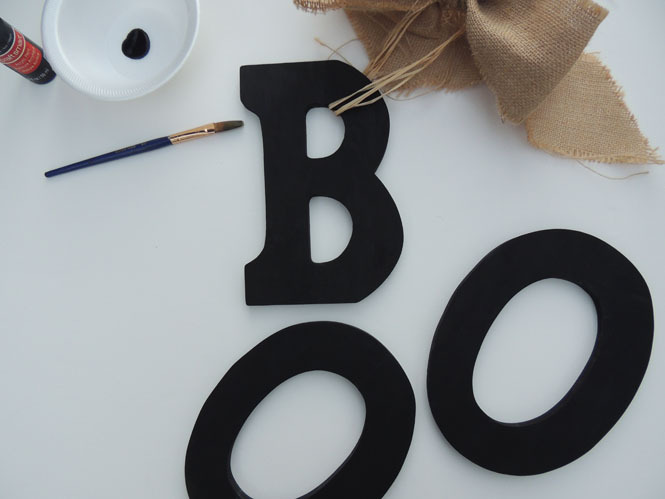 For Fall and Halloween, it's hard to find inspiration for projects that aren't repetitive but with this super simple "Boo" sign for a door either outside or inside, I found a project that isn't only fun to make but looks so good with other decor! Happy Tuesday and happy link up day! This past week has been very busy but an awesome one to say the least! Last week I shared my October goals and I'm happy to say that I'm off to a great start! Okay, so I still haven't created a media kit... BUT my social media numbers are increasing every day! That's a start, right?! It's getting super chilly and Fall-like in New York and I seriously couldn't be happier. This weekend it's only going to hit the high 50's so I cannot wait to wear a pretty sweater and scarf! And of course, boots which you probably saw a whole lot of in my most recent post!! I love summer more than anything, but I've said it before and I'll say it again - there is nothing better than fall clothes! Besides cozy scarves and oversized sweaters, my favorite thing to wear during the Fall and winter are boots and booties! There's so many styles, colors and variations that you can never collect - I mean have ; ) enough pairs. This season, booties are so in style and I love them because they're easy to dress up or down and also are perfect to wear with a cute pair of jeans; they're different than regular boots and give outfits completely different looks. There's also tons of times that I have a dressy occasions but don't want to take my socks off (for real, it's a struggle every day!) so wearing booties that have a heel is a perfect dressy and classy alternative to a heel. 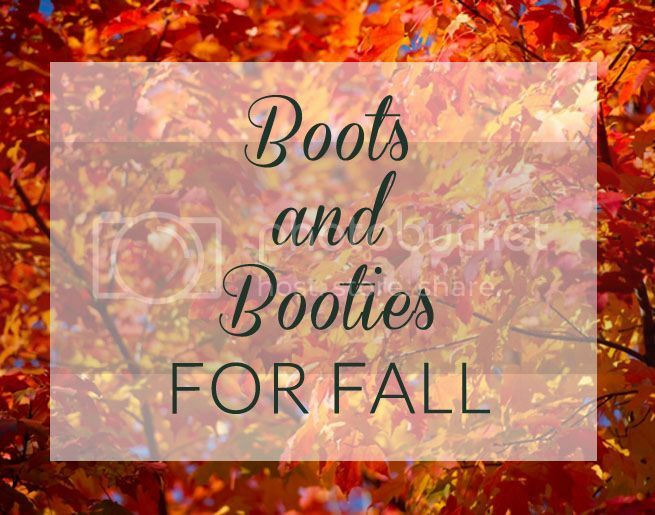 This is also a really great time to buy boots and booties - especially with today being Columbus Day and a ton of great sales! 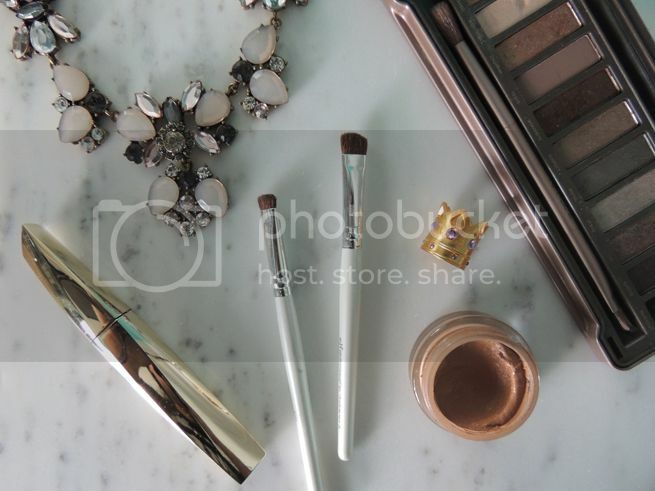 This past July, I was introduced to Influenster and joining was one of the best things I've ever done - really!! 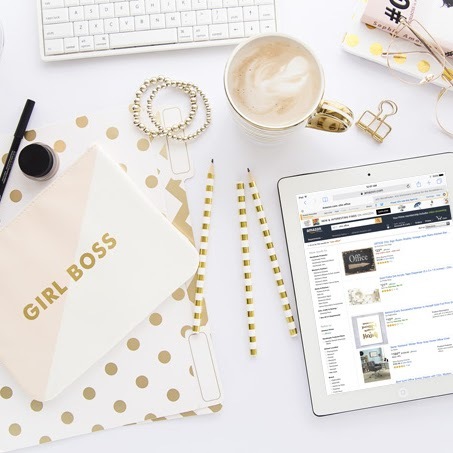 Influenster is a social platform that allows you to read and write product reviews and rewards members' social impacts with gifts to review. Your social media influence determines what you will review and when by building up points. 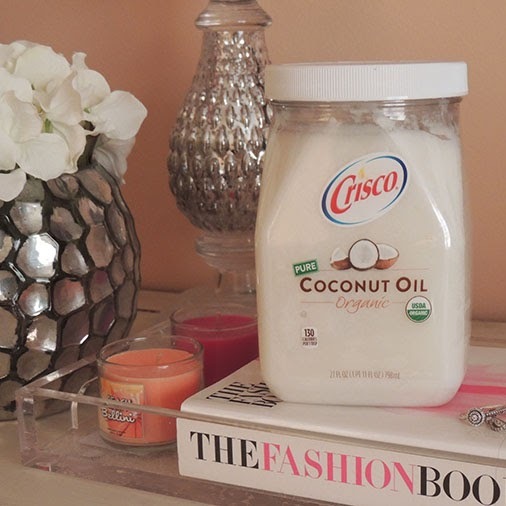 Ever since joining in July, I've both left reviews on products that I've tried and loved (or tried and hated) and also have read many other reviews on products that have helped determine whether I try something new or not. 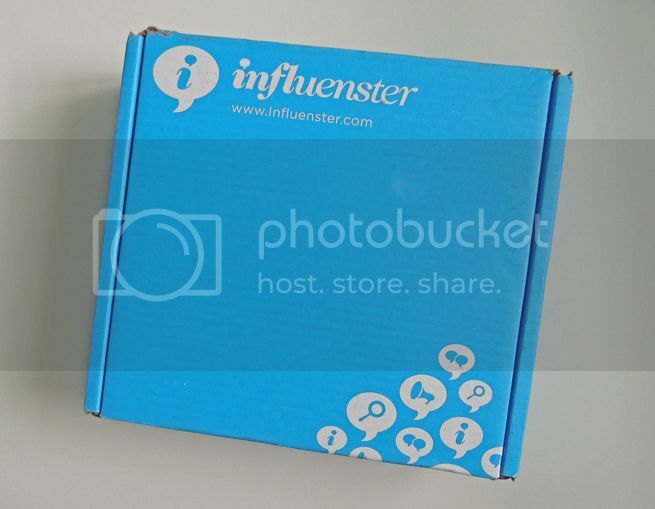 All members of Influenster are in the same boat, so you can expect to read honest reviews for sure! Influenster is seriously an amazing company and two months into product reviews and anxiously awaiting, I received my first VoxBox in the mail last week!! Where in the world did September go?! Seriously this year is flying by - it's so crazy! 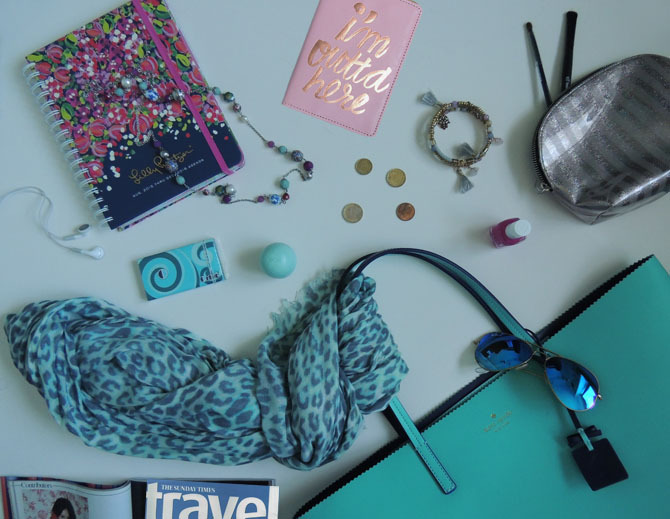 At the beginning of another month, I decided to finally share my monthly blogging goals and this month I have some big ones that I'm trying super hard to accomplish. I've always seen bloggers creating goals for themselves each month and always have loved the idea of doing so. I even write some vague goals down in my planner each month but I'm starting to think that if I really think about said goals and even write them AND publish them, that I will likely have a better chance of achieving them every month. I think it's super important both for blogging and in general to set attainable goals for yourself that are a bit challenging too! 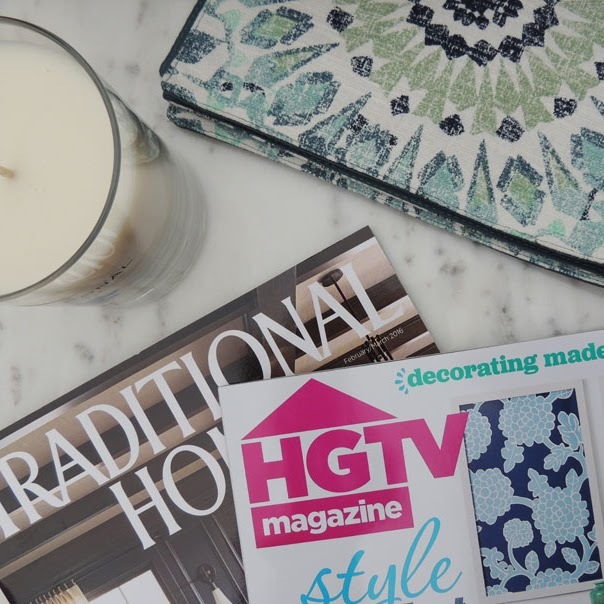 As I always say, there's always things to do when it comes to your blog - I don't think there's ever any "finishing" point and truthfully, that is by far the best part of it all! I began wearing makeup and really caring what I looked like every day when I was going into 7th grade - that's 10 years ago! Over these 10 years I've learned so many beauty and makeup tips and the way I wear makeup has changed SO much (thank god - no more glitter eye shadow) since then. I've learned that less is more and that the only way to find a look you love on yourself is by trial and error. 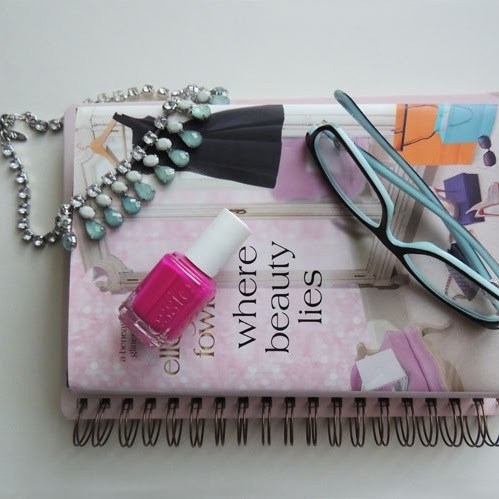 Now, doing my makeup and finding new beauty tips, tricks and products is by far one of my favorite things to do! I love watching YouTube videos and reading blog posts by beauty gurus/bloggers and can honestly say that I've learned SO much from doing so over the years. Little story: the first time I was trying to achieve the perfect smokey eye, lets just say I looked like I got punched in the face! I then found a template from one of my favorite beauty Youtuber's and practiced it over and over and now it's one of my favorite looks on myself.